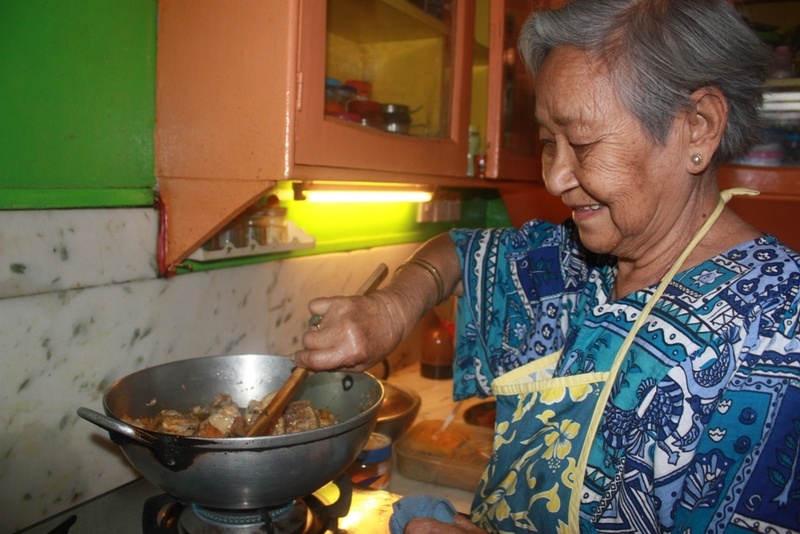 Make a paste of onion, garlic and ginger and keep aside. 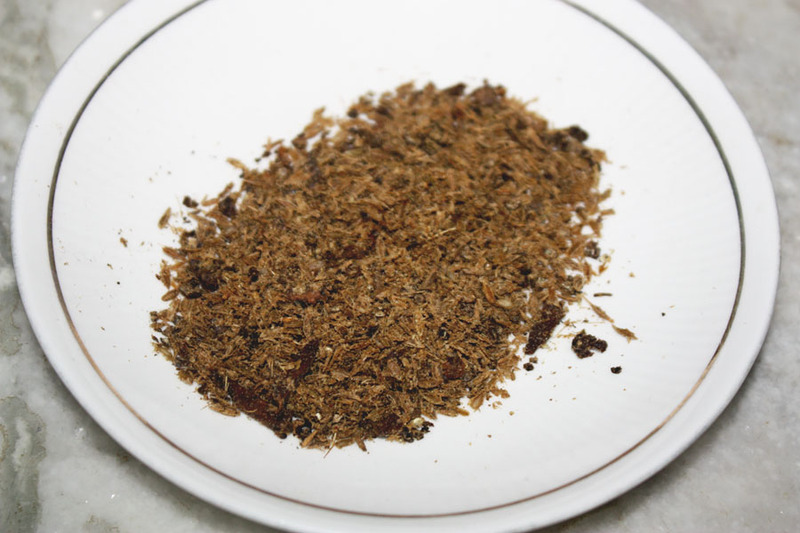 Combine the whole pepper, cloves and cumin seeds and coarsely grind into a powder. 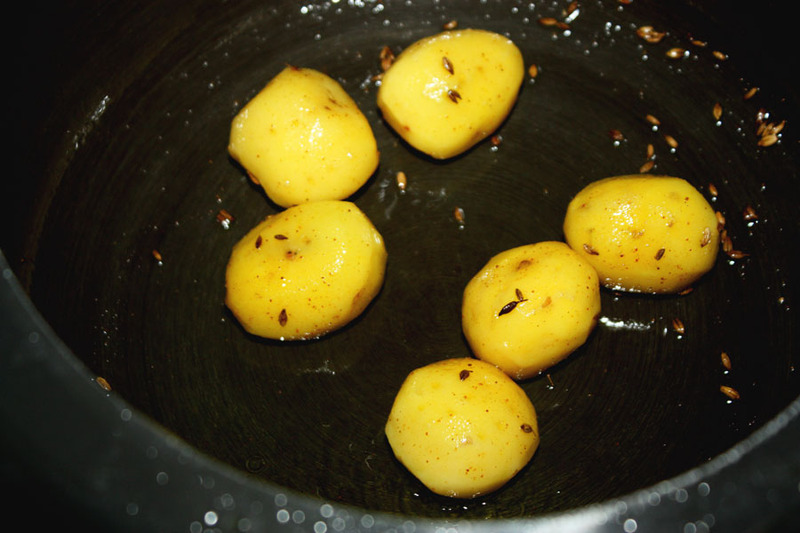 Heat one tablespoon of oil, add 1/4 tsp cumin seeds and a pinch of turmeric and fry the potatoes for about 2 mins, till they are slight golden brown and then take them out in a separate dish. 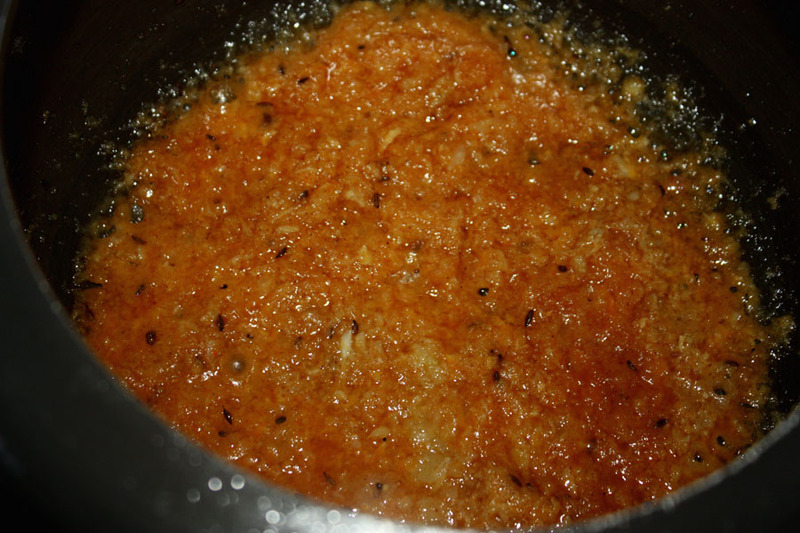 Heat oil in a pressure cooker and when it is luke warm add the chilli powder and stir. This gives a nice red color to the oil . Add the onion, ginger, garlic paste and fry for 2-3 mins till it is half cooked. Add the grounded masalas,meat masala, chilli powder, turmeric and salt and fry for 5 mins till the masala starts leaving oil. 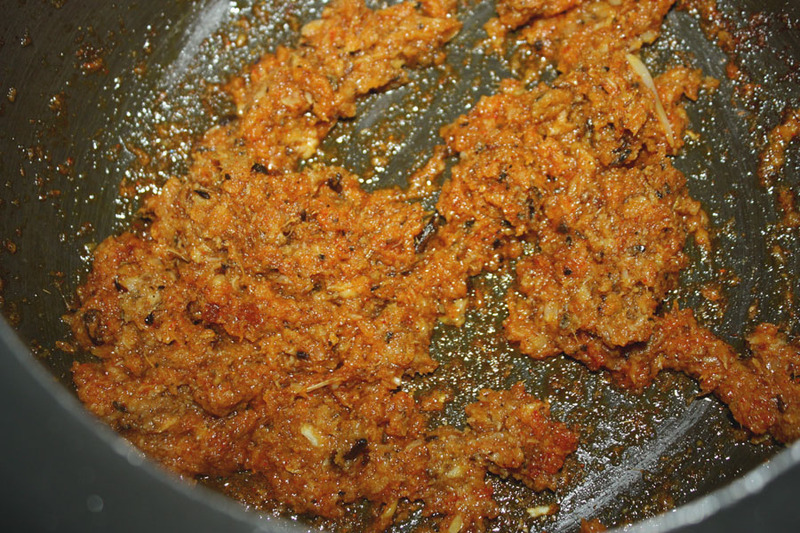 Add the meat pieces and fry for 3-4 mins till the masala is nicely coated on the pieces. Add the chopped tomatoes and the stir fried potatoes and fry for another 3 mins. 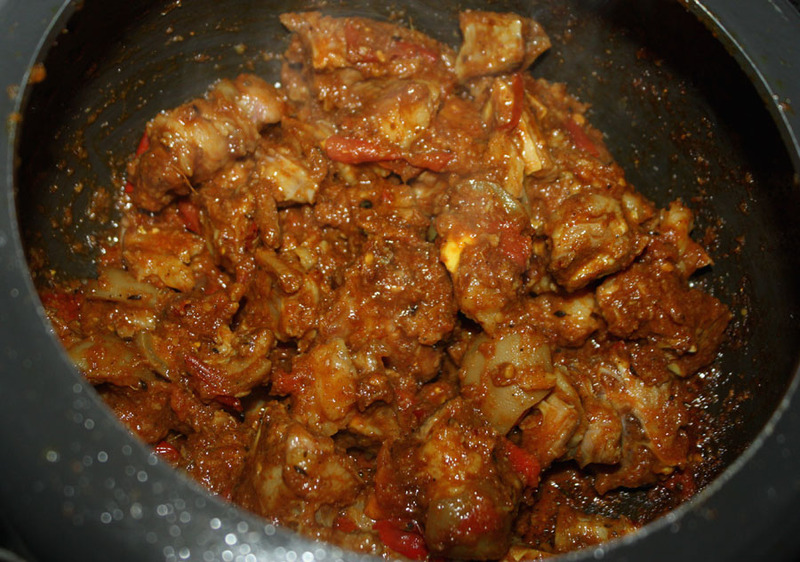 Add two cups of warm warm and pressure cook for 15-20 mins till the meat becomes tender. 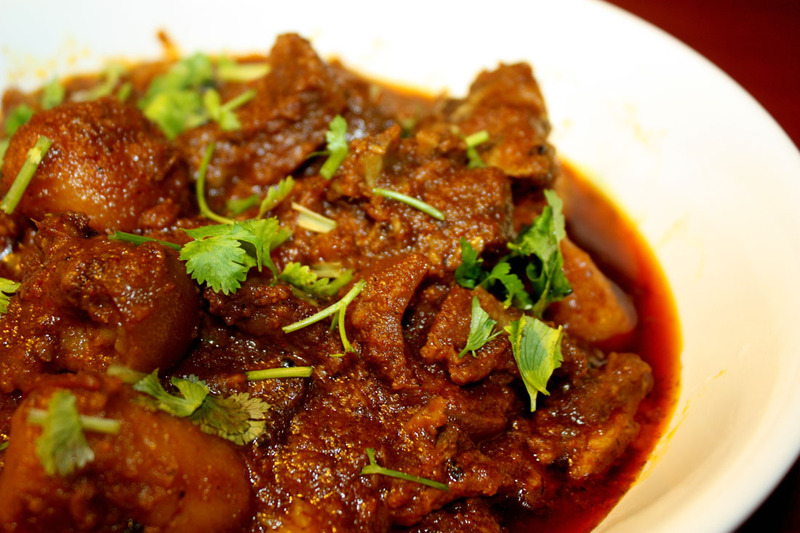 When the meat is cooked, sprinkle garam masala on top, mix well and serve garnished with chopped cilantro. Enjoy ! 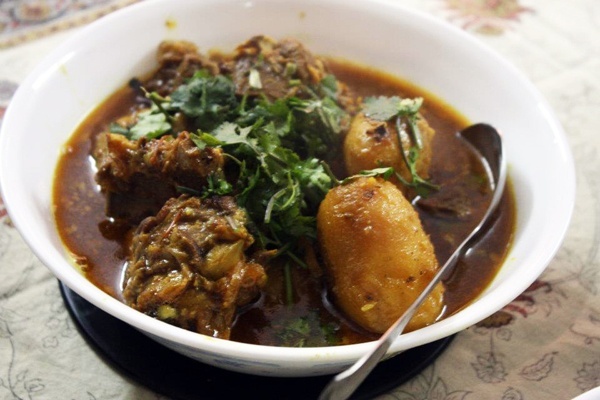 This entry was posted in All Recipes, Grand Ma's Recipes, Mutton and tagged grandma favorite, mutton curry, Nepali Recipes by Kamakshi. Bookmark the permalink.